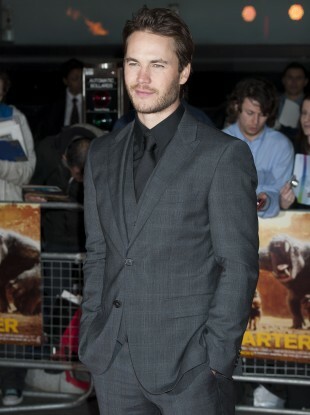 Taylor Kitsch at the UK premiere of John Carter at a central London venue. DISNEY HAS ADMITTED that it is set to lose over $200 million on its recent movie John Carter. According to a statement from the studio the movie only took $184 million worldwide, but the studio added that they are looking forward to their upcoming releases of The Avengers and Brave. The film, starring Taylor Kitsch, received average reviews, with Time Out London describing it as an “unholy mess”. However, critics didn’t warm to the movie with the review aggregation site RottenTomatoes.com giving it an average critic rating of just 51 per cent. According to boxofficemojo.com opening weekend takings only grossed over $30 million (€23 million) in the US. It is not yet ranked in the Irish Film Board‘s box office chart. According to the Guardian, around $50m was spent on marketing the film. The major loss for the studio will make this one of the biggest movie flops of all time. According to The Hollywood Reporter there were some notable movie misses last year. Cowboys and Aliens starring Harrison Ford only made $116 million (€98 million) last year even though the movie cost over $163 million(€124 million) to produce. Who can forget Waterworld’s unfortunate luck – after blowing over $175 million making the movie – it only pulled in $88.2 million (€67 million) in the US, earning it four Golden Rasperry nominations and one win. John Carter the movie was based on a series of books written by the late Edgar Rice Burroughs giving plenty of material for sequels and prequels but the massive profit loss may stop any further investment for the future. The film’s director Andrew Stanton of the Pixar animation house, recently told The Guardian that he was expecting to go straight into a second John Carter film following the release of the first movie, and had no other projects lined up. The poor reception came as a shock, due to Stanton’s other highly successful movies such as Finding Nemo and Wall-E, both films winning an Oscar for best animated feature. The director told BBC News that he pays little attention to budgets for his movies – “Having said that, I’ve always ignored what the budget is. I’ve never felt any gain to be worrying about numbers”. Email “John Carter movie makes massive loss for Disney”. Feedback on “John Carter movie makes massive loss for Disney”.